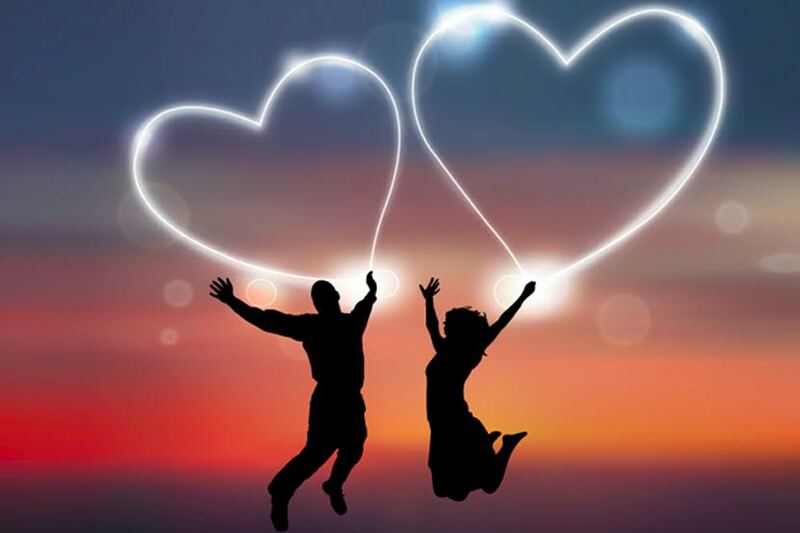 Valentine’s day-the day of love is celebrated all over the world. At every place, the celebration is expressed in many ways befitting the local culture. In the US, the festival of St. Valentine is honoured with heart-shaped chocolate boxes, love letters, a bouquet of red roses, chilled wines and beautiful gifts. These traditional gifts symbolize the romance and the theme of this ancient holiday. So arm yourself with a sparkling bottle of wine and a box of truffles as we delved into the global approaches to celebrate this February festival of love. With the world’s most romantic city as its capital, France doesn’t need much preparation for Valentine’s day. The hometown of St. Valentine is in France’s Loire region which is later known as “The Village of Love”. From 12th Feb to 14th Feb the whole town is decorated with flowers and hearts. Couples pin love notes on the tree of vows and many of them also choose to get married on this day. The country used to have an interesting tradition called as “loterie d’amour”. Imagine two houses facing each other, one filled with men and other filled with women. From each house, people call their secret lovers by name. Men in return could ditch the woman if they wanted to. And later, the unmatched women gather around a bonfire and burn the pictures of a male with such great enthusiasm that the whole thing is now banned in France. Unlike the US, the traditions in South Korea are a bit different. Here Valentine’s day is celebrated by women. Instead of receiving Valentine gifts, women present their men with chocolates, gift boxes and love letters. Then, on March 14, which is also known as “white day” women celebrate and receive presents of their own. This tradition is actually borrowed from Japan but they have an added twist. After White Day, on April 14th, Single people celebrate “Black Day”. 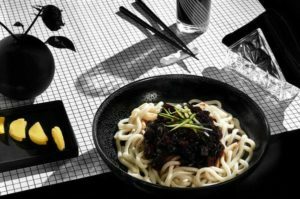 On this day lonely singles dress in black, gather together and eat jjajangmyeon—noodles covered in inky black bean paste. Like most of the world, Italians celebrate Valentine’s day on February 14th with the traditional customs of restaurant meals, gifts and plenty of love. There is also special chocolate for the day of lovers that is Baci Perugina. Wrapped in silver and blue foil, these small chocolates are filled with hazelnuts. 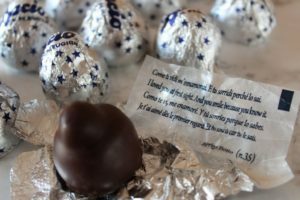 Inside each Baci (means Kisses), there is a small love note written in various languages. Verona, the city of Romeo and Juliet is beautifully decorated according to the occasion and many romantic events are organized throughout the whole week. The Welsh have their own patron saint of lovers St. Dwynwen. Named after a 4th century Welsh princess, who was unlucky in love, St. Dwynwen’s day is celebrated with the same enthusiasm of Valentine’s day. Among gifts, cards, chocolates, flower bouquets, there are intricately carved wooden “love spoons” that sounds like our kind of spoon. Instead of a signature bouquet of red roses that we associate with Feb, 14, Danes gift each other pressed white snowdrop flowers and “lover’s cards”. Gaekkebrev is another popular tradition of Danish Valentine. Gaekkebrev is a joking poem or letter that men write to women and sign anonymously with dots. If the woman guesses the sender, then she is awarded an Easter egg a few months later. So wherever you are this February, Valentine’s day has something special for you. 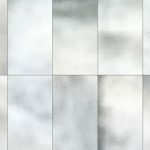 Why silver foil box is classy ?